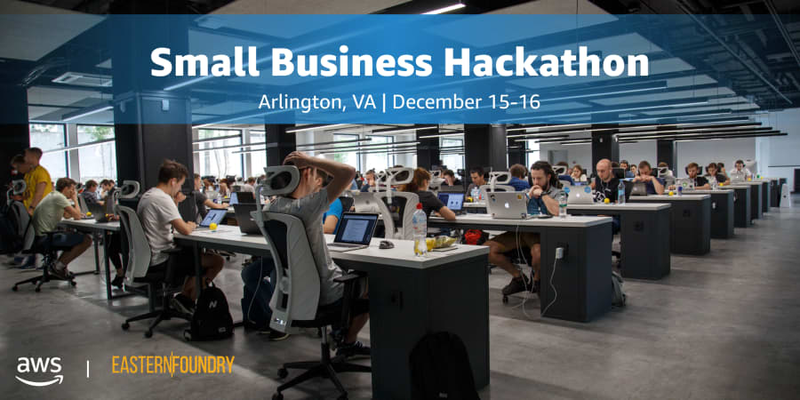 The Small Business Hackathon is right around the corner. We look forward to seeing everyone on Saturday! We've laid out FIVE important tips so you can hit the ground running. Where To Go And Hack: The hackathon starts December 15, 2018 at the AWS offices in Arlington, VA. Doors open at 8am - come early and eat breakfast. The hackathon challenges are unveiled at 9:30am. Meet up with your newly created teams between 9:00-10:00am to maximize your hack time. Hacking ends and presentations and judging begin Sunday, December 16 at 10am.